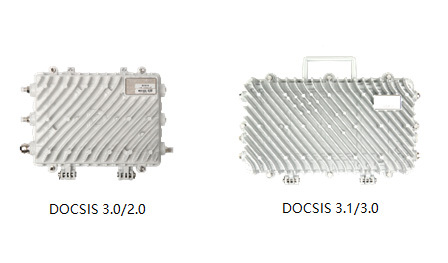 Sumavision outdoor R-CMTS involves DOCSIS 3.0/ 3.1 devices, which can be used in DCA architecture and improve bandwidth greatly. CC8800-C/D/E R-CMTS are based on DOCSIS 3.0, and cooperating with OLT or switch, CC8800-C/D/E R-CMTS can be deployed in community or building where optical nodes exist to provide 100M and even larger bandwidth. Sumavision CC8800-F series DOCSIS 3.0/3.1 R-CMTS are the next generation DOCSIS devices, whose throughput can be up to 10G+, so they meet the gigabit bandwidth requirement which is or will be the trend in the next few years. 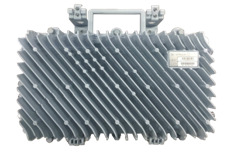 Sumavision CC8800-D series DOCSIS 3.0/3.1 headend CMTS are standard 1RU device, and are suitable to be deployed in operators’ control room or be used in industrial scenarios like hotel etc. Same with outdoor R-CMTS, cassette CMTS can provide great guarantee for bandwidth and QoS. Besides, due to the cassette design, CC8800-D series CMTS provide tremendous convenience for deployment. • Physical ports: for CC8800-C, support 4RF in/4 RF out or optical receiver inside; for CC8800-E, support 1RF in/2 RF out or optical receiver inside. • International certifications：CE, FCC, RoHS, WEEE, VCCI, JCTEA, KDDI, Softbank, etc.